Master C# Programming Today Fast And Easily!! 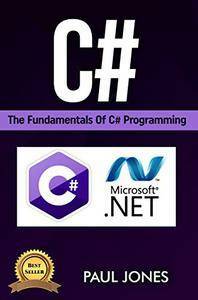 C# is a programming language that was inspired by popular languages such as Java, C, and C++. Since it is one of the most popularly used programming languages in the world, it can be safely said that C# is a powerful tool that you must have in your programing arsenal. However, despite it being preferred by a lot of programmers, it still has some weak points that need considering. This book contains proven steps and strategies to learn the essentials of C#. It highlights the important concepts that every beginner to intermediate programmer should know and presents relevant and practical examples. It aims to provide a solid foundation for people who want to start a career in C# Programming. Don't wait any longer, get your copy today!